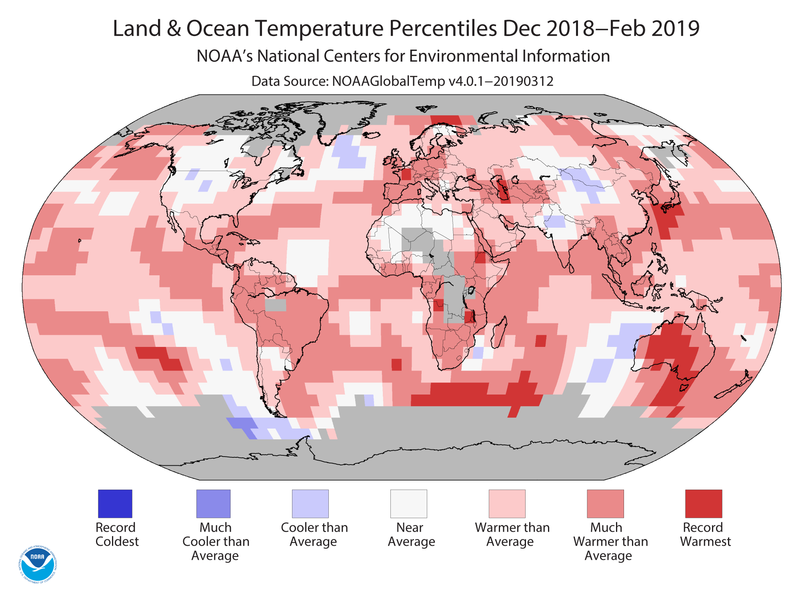 [NOAA] February and the winter may have been cold in the United States, but overall the world was warm. 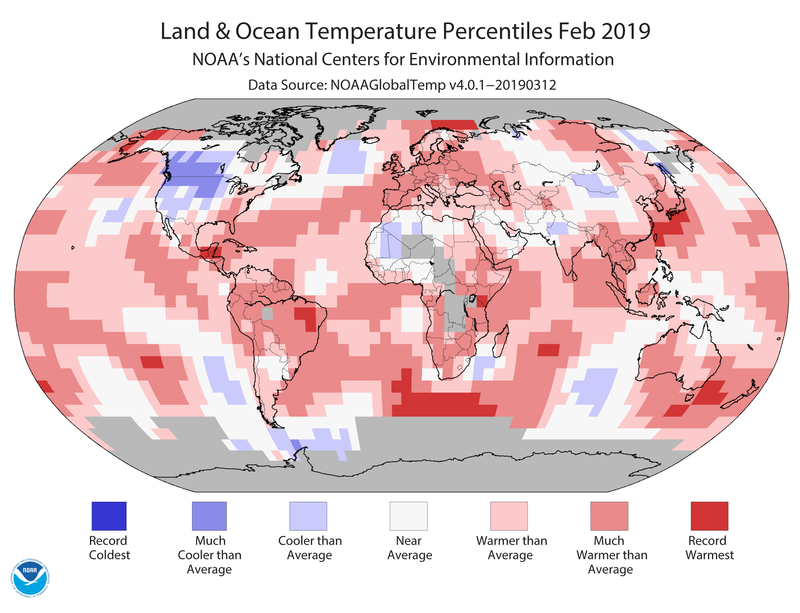 Steady warmth around the globe made February the fifth hottest on record. 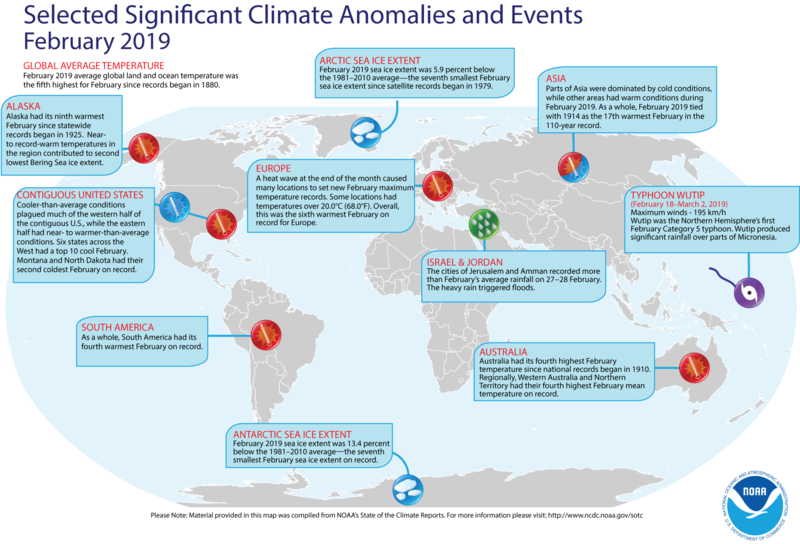 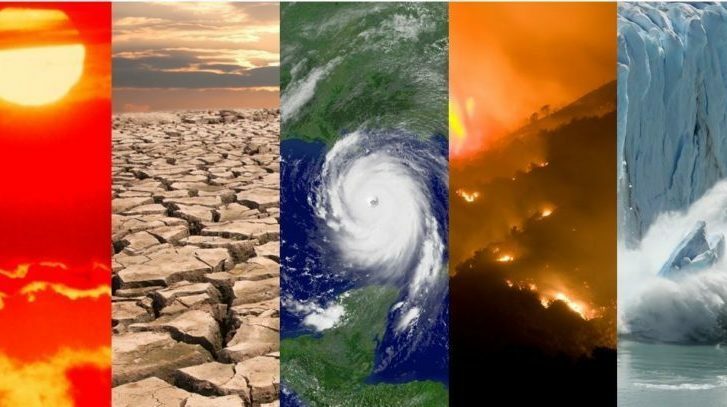 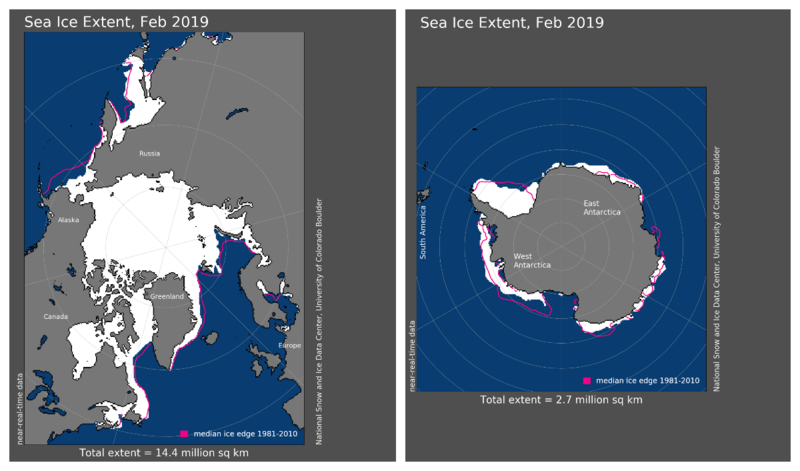 Seasonally, the period from December 2018 through February 2019 ranked fourth hottest on record, according to scientists at NOAA’s National Centers for Environmental Information.